for any case, the general agreement conditions apply. Join our project management platform, receive tasks you can develop online. Collaborate with the project at a particular event, for example a Kundalini Yoga or Sikh Dharma Festival or Gathering, Event or similar. 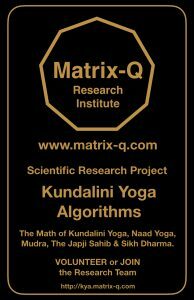 You are a kundalini yoga practitioner or trainer, and would like to join our test trials, follow instructions, which involve engage into your Kundalini Yoga Practices and Methods, and share with us information relative to your experience, progress. Trainers may share on the experience of their students as well. Assistant: Support with organization, communication and other management of the project tasks. Research Trials: Support by organizing collective trials or supporting individuals that volunteer for test trials. 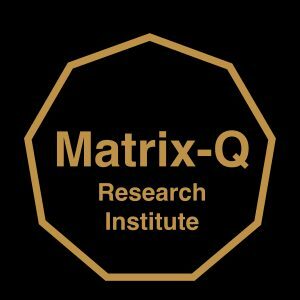 Research Assessment: Utilize (or learn how to utilize – Internship-) Matrix-Q Research Tools. Supporter, Funder: Collaborate with financial resources or means, or other form of resources, services expenses, necessary for the development of the project. Innovation: Based on research results, apply knowledge for innovation, design of solutions or applications. Publications: Design and edit publications, on research process and results, archive, media. Communication & Marketing: Media, Communication. Strategic partnership: Support through collaboration for the completion of any of our research projects milestones needs. Please contact us to: welcome@matrix-q.com for more details. Send by email your CV, a letter describing your motivation, talents, skills, or resources you wish to bring to this project. After an interview online, following stages of evaluation and necessary training will apply. Along a first trial season basic set of tasks and responsibilities will be assigned, for both sides to decide on the collaboration agreement and feasibility.